Light pinot ruby. 12.2% alc. Dumb, somewhat underdeveloped nose. Slightly stalky. Some light and savoury fruit trying to break thru. Same comments as above on palate. Light/dumb. Has some charm, but I tend to give any pinot a pass mark regardless, cos I like the variety A LOT, unless it is red lolly-water. Which this isn’t. I just kind of had hoped for a revelatory bargain with this bottle. They can only get better tho. Gladstone is an up and coming area for P’Noir. NEXT DAY UPDATE: The half-bottle held up really well overnight and was showed more bouquet – red roses, cherries, & that pinot florality I love. More flavour in the mouth too. Obv needed decanting. 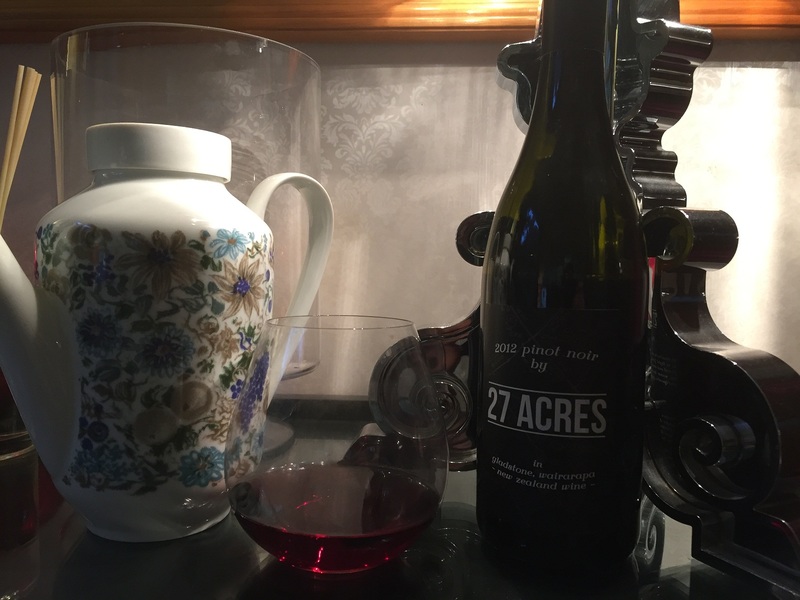 This entry was tagged $$, 12.2%, 2012, 27 Acres, 3, G, Gladstone, Lynfer Estate, Pinot Noir, Wairarapa, Wine of New Zealand. Bookmark the permalink.